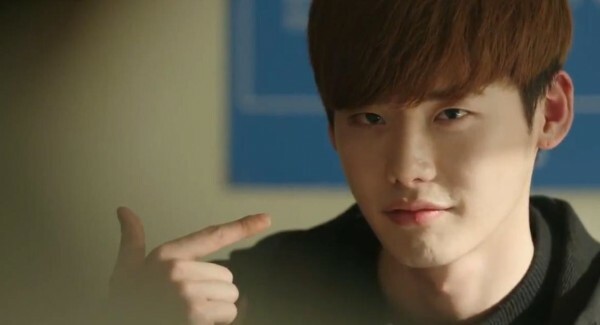 I'm loving this episode (and hopefully can get the chance to recap the rest of the episodes till this drama ends). I checked the ratings of this drama a while ago and was puzzled to see the low ratings - this is one of the best dramas I've watched in 2014, with a solid plot and good acting. 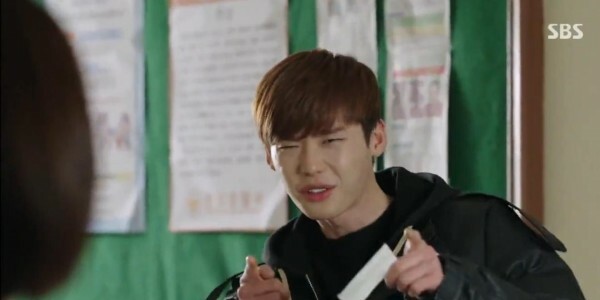 However, I'm beginning to see that it's starting to pick up its fanbase, and people around me are getting super into this drama too which is a GREAT thing. "An innocent life will not be destroyed again like how it was 13 years ago." Chan Soo drops by the reporters' lounge to clarify with the reporters - the explosion which he was supposed to investigate was caused by a small butane container. The nonchalent attitude? That can't be blamed on police officers. With the gun, holster and handcuffs that weigh more than 3 kilograms, police officers usually end up leaning on one side, and even have spine problems. He hands out oranges and envelopes to everyone, which Dal Po and In Ha are shocked to hear they contain invites to his son's first birthday party. Dal Po quickly carries him out before he blurts anymore, and In Ha covers his mouth. I love it whenever the couple works together hehe, it creates such a funny image. 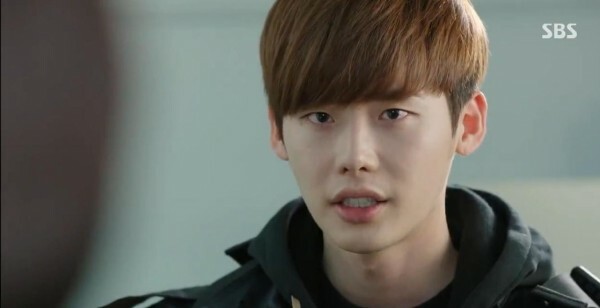 In Ha tells Chan Soo not to have the party because people will get angry and all the citizens will turn on him. Chan Soo assures the both of them that he's strong and will not crumble under this pack of lies. In Ha apologies for what her mother has done to him. Dal Po reminds Chan Soo to remain strong and promises that he will not stand by and do nothing. Chan Soo hugs Dal Po and proceeds to hug In Ha, but in a funny fit of protectiveness/jealousy, Dal Po quickly intercepts the hug HAHA. 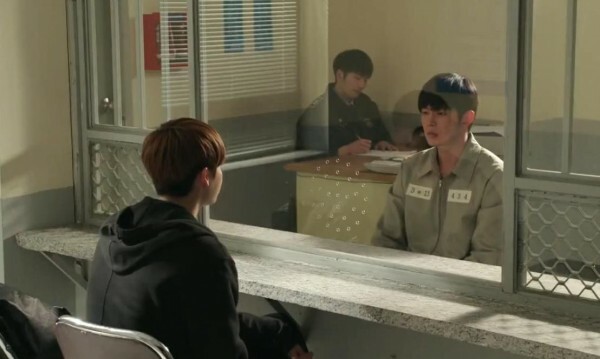 Dal Po visits his brother to update him on the news, and Jae Myung tells Dal Po that even though Chan Soo is acting strong, deep inside he must be very upset, just like how he was 13 years ago. I like it that we still see Jae Myung, and that everytime Dal Po visits Jae Myung, it's like a visit to his diary - he reflects calmly on whatever has been happening, and realises what he has to do. 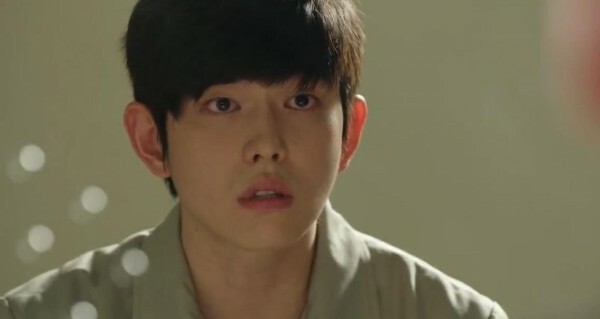 Jae Myung asks if he's all right since this case is so similar to their dad's case. Dal Po reassures his brother that it's different now. "Back then, there were no good reporters. Now, there is." "Who?" His brother laughs at his shamelessness. In the item meeting at MSC, Il Joo reports that Chan Soo has lost the santa a week ago and Capt Kim shoots him down for bringing up news that is a week old. However, this is rebutted by Song Cha Ok who says that it's relevant since viewers are interested now, much to In Ha's and Bum Joo's digust. They try to stand up for Chan Soo but Song Cha Ok is just like oh he's a police offer who has performed his duty poorly last time. Isn't there a connection? Capt Kim collapses on his desk, in despair that whenever Song Cha Ok is in the meeting, it seems like he doesn't exist anymore. Over at the YGN side, a reporter also brings up the news of Chan Soo losing the Santa but is shot down by Dal Po, "Who says Officer Ahn is responsible for the explosion?" Capt Hwang also very dashingly puts down this piece of news and reminds everyone of the Ki Ho Sang's case. Until everything is clear, do not presuppose and only present the facts. In the end, Il Joo still gets to report on the missing Santa news and is disapproved by Capt Kim. In Ha is scrutinising the footage that her mum has gotten and asks casually if Bum Joo has a band-aid. He rushes out to buy one for her, and she's stunned at his speed. Yu Rae visits the factory site and wonders just how on earth Sung Cha Ok found her security footage. She loses her footing and is saved by Dal Po. 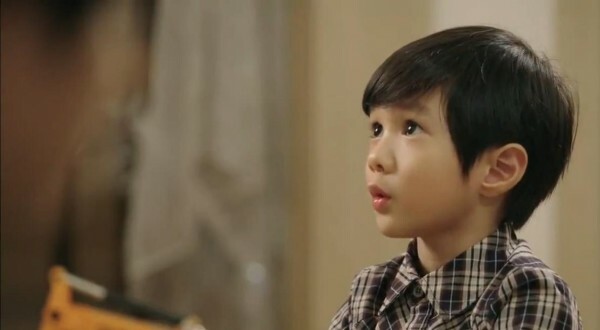 Dal Po reveals that he's here too because he's wondering about something, but Yu Rae simply one-sidedly thinks that he misses her. Dal Po quickly asks a few on-site workers who reveal that the room holding the security footage cannot be accessed because of the explosion. However, the footages are also held at another place. In Ha wakes up from her accidental nap and Bum Joo comments (cutely) that she didn't even nap for ten minutes. Bum Joo shows her what he has found - a skip in the footage. He questions if this is the master copy and answers In Ha's question that this skip happens after Chan Soo has visited the site. In Ha rushes out of the room and finds her mother to question her. If the footage Sung Cha Ok has used is the master copy, it shouldn't have been edited. Her mother steps into the lift and answers evasively that sometimes master copies have hiccups too. A hand blocks the lift doors from closing and she looks up to see Dal Po. Dal Po reveals what he has just learnt - the room with the security footages has been destroyed. So the footage she has obtained is not from the factory but from the security firm. According to the firm, only the factory owner has access to the recordings. Sung Cha Ok tries to close the doors but Dal Po simply smirks and continues that this tells a different story. If the factory owner has edited the scenes, then it means that in those scenes lie the real cause of the fire. 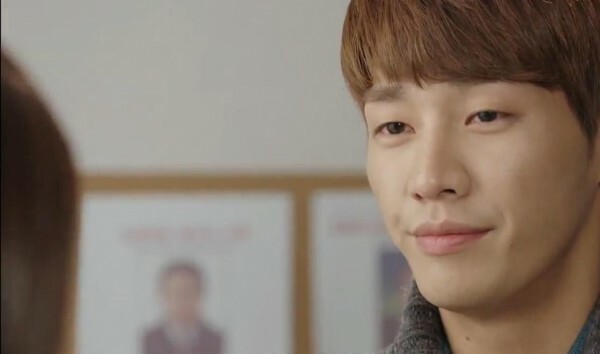 Sung Cha Ok simply uses her OLD AND LOUSY defence of "question me with evidence", and Dal Po promises to come back with those scenes. 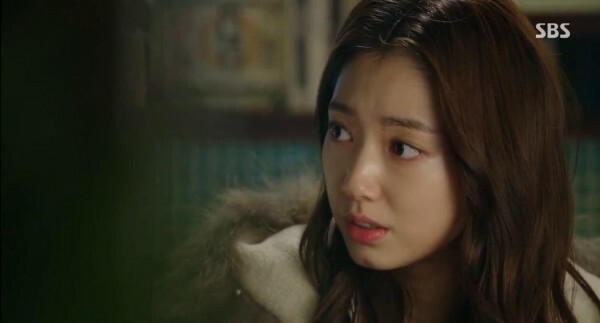 In Ha is super disappointed that her mother has framed Chan Soo in order to hide the real culprit. In the lift, Sung Cha Ok receives a text from the Chairman for a meeting. Dal Po says that he's going to find all the CCTVs near the factory and In Ha rushes back to the newsroom to get her stuff as well. She ignores Bum Joo's nag at her to get a nap and rushes off with a nosebleed. Somehow, Yu Rae's phone ends up in Bum Joo's bag and he comes back to the reporters' lounge to return it to her. He comments that her wallpaper is of Ha Myung and realises that Yu Rae believed his lie. He laughs and tells her wryly that it was all a lie, but she replies unfazed that now the lie has turned out to be the truth. Coincidentally, Dal Po calls Yu Rae and she puts him on speakers. He tells her that he has to check all the CCTVs and asks her to pass his gift to Chan Soo on his behalf. She's all like AHA SEE HE LIKES ME. And Bum Joo just answers very dejectedly that he hopes that's the case. 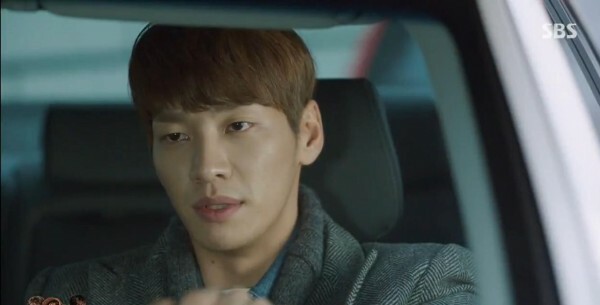 Bum Joo has also been entrusted with the task of passing In Ha's gift to Chan Soo during the birthday party but on the way of driving Yu Rae and himself there, he recalls how In Ha has rushed off wanting to check the CCTVs and decides to ask Yu Rae to take a cab by herself. Dal Po is just in the process of marking out the CCTVs on his phone, when he is joined by In Ha who passes him maps that are all marked out already. The Chairman praises Sung Cha Ok and the director for the news and says that it has even scored points for her with the Congressman. They won't be disappointed with the reward. Chairman realises that Sung Cha Ok is worried and calls her name. She reveals that Ki Ha Myung has found out that the footage is edited and is going to find the CCTV recordings from places near the factory. The Chairman's reply is heard at the same time as we watch In Ha and Dal Po continue with their investigation. She has taken care of it and recordings from the places near the factory have either been taken away or deleted. 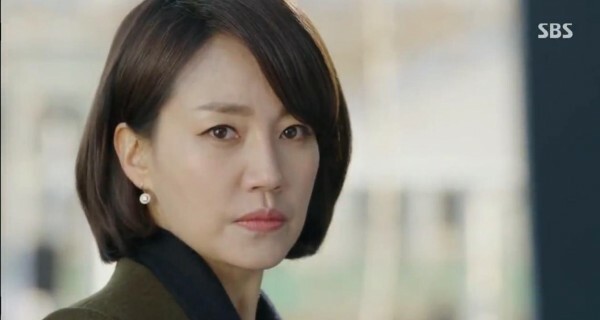 She reminds Sung Cha Ok to just focus on her work and not get caught up with the kids. Dal Po finds In Ha and comments that it seems like someone has deleted all the recordings. They rush off in different directions to continue investigating, and Bum Joo's heart aches as he watches from a side and observes In Ha's bleeding ankles (she had blisters). 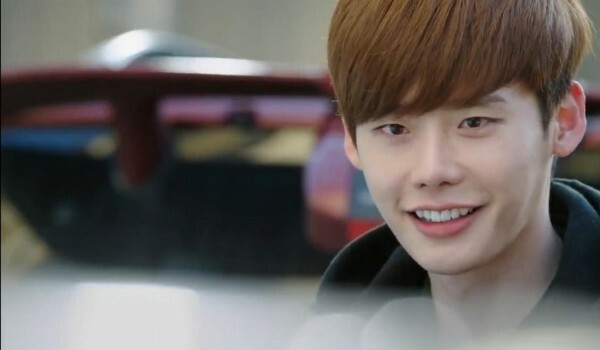 Now full of confidence from the meeting, when Dal Po comes and find Sung Cha Ok again, she smiles arrogantly and asks him if he has brought her evidence. Dal Po replies that he was foolish. He realises that his perspective was too narrow. Whoever can take care of the CCTVs is the real one hiding the truth. "If you happen to know the person, please relay this. Thanks for giving me a hint." 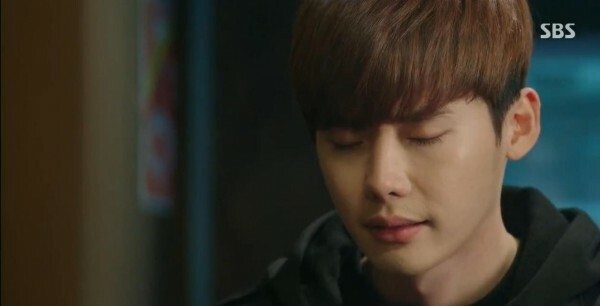 Dal Po walks off confidently, knowing that he has dealt Sung Cha Ok a blow. Yu Rae arrives at the birthday hall to realise that it is swarmed with reporters, even reporters who have taken the invites from Chan Soo earlier on. This scene makes me feel so disgusted because I see reporters that were at the lounge, listening to Chan Soo's clarifications. This means that they clearly know that Chan Soo is not in the wrong, and they continue with that line of report because it is sensational. With the exception of YGN, the news depict Chan Soo as unremorseful and heartless. No more birthday party for Chan Soo's son and back at home, his oldest son says that his classmates said his father should be the nation's moral compass. 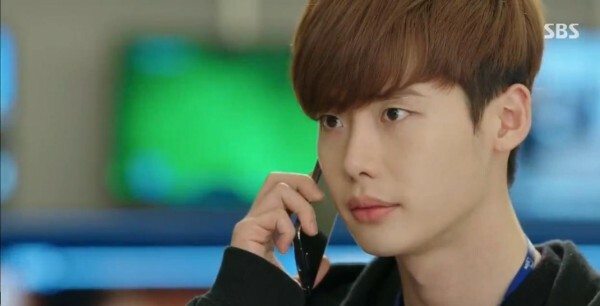 Chan Soo rushes out of his house and thankfully, Dal Po calls to check on him, only to be in shock that Chan Soo is rushing off to MSC to talk to Sung Cha Ok. This is terribly like what Jae Myung has done years ago and Dal Po quickly calls In Ha to tell her to stop Chan Soo. 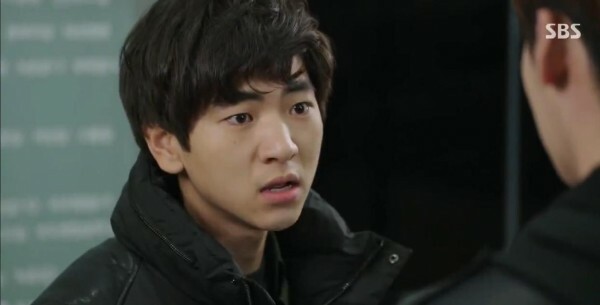 In Ha and Bum Joo, later joined by Dal Po, manage to stop Chan Soo from creating a scene at the barriers, but he breaks down and asks In Ha and Dal Po repeatedly to tell the public that he is innocent. He finally collapses into Dal Po's arms, sobbing, "Please do something, please?" In Ha rushes off and Dal Po stands there, quietly comforting Chan Soo. Bum Joo is exasperated that In Ha is doing this - not taking care of herself and rushing off at late hours to investigate. She retorts, "They are my friends. Because of my mum, Chan Soo is experiencing the same fate as Dal Po did 13 years ago. How can I rest now? I'm feeling so bad it's driving me crazy!" Bum Joo shouts back, "WHY do you have to feel sorry?" This conversation is in fact, heard by In Ha's mother as she comes out of the ladies. In Ha replies, "Because my mum won't apologise or fix anything." Bum Joo sighs and joins In Ha, telling her to at least take his car. To be honest, I don't see what's so impactful about her sentence but it seems to worry Sung Cha Ok's conscience. She opens the drawer in an attempt to find the phone that In Ha has been messaging for 13 years and realises that it's not there anymore. The MSC camera crew meets YGN crew and Jang Hyun Kyu makes a jibe at Il Joo for not having work ethics and reporting news that could have prevented a tragedy. Il Joo replies bewilderedly, "Hey, Officer Ahn is the one who could have prevented the deaths of many, not me." "You don't remember, that factory...you touted it as being eco-friendly. If you have reported properly back then, we wouldn't have this tragedy!" "That was half a year ago." "Really? It hasn't even been a year? If I were you, I don't think I could even think about a wedding or my child's birthday party. Because of my conscience." Jae Hwan hi-fives Hyun Kyu and I wish I could be part of that hi-five too. Dal Po recalls the ordeal from 13 years ago and how it is similar to Chan Soo's despair right now. 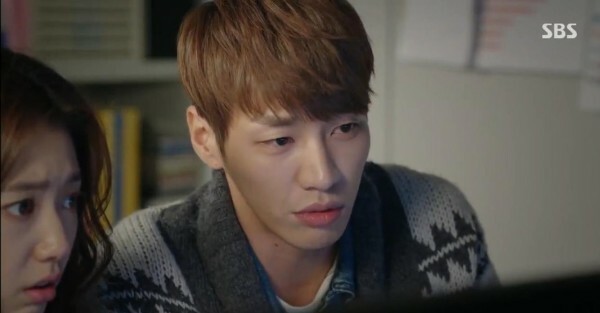 He is upset but he returns to the lounge and finds Yu Rae watching the footage that In Ha has just sent over. Dal Po quickly picks out a blinking light and realises that it's the black box from a car that was parked in the lot, right outside of the factory. Yu Rae uses her cute-sy skills to get the name of the owner from Chan Soo's supervisor and he even puts on this funny facade of, "How can I do that? It's not within the protocol" while slipping Yu Rae the information. Elated with the information, Dal Po thanks Yu Rae and runs off to investigate. And Yu Rae is just in love with his "radiant smile" hahahaha. Dal Po manages to locate the car and punches the air. 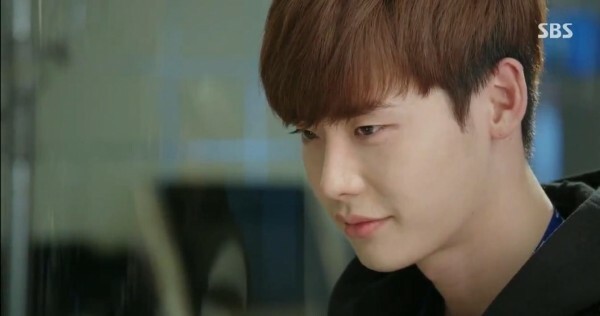 He quickly returns to YGN and shows Capt the missing scenes, which show trucks from Chan Joo Optical coming into the factory. They specialise in glass waste and this tallies with what the investigators said, that the explosion came from some metaphasis of glass waste. Dal Po tells Capt that the people who are hiding behind this should be exposed as well, and Capt smiles, "Do you think I will hide this story?" 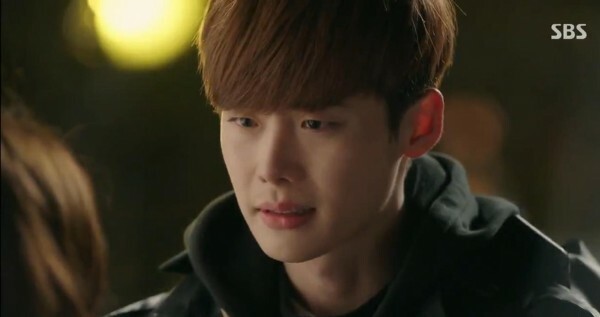 Dal Po quickly rushes off to tell Chan Soo the good news, but all the same, I feel worried that they are giving Chan Soo too much hope. Their investigation is only starting now, and if Chairman stops it, Chan Soo might be in even deeper trouble. Chan Soo admits that he was the one who has started the rumour that Dal Po cheated to get onto the game quiz show decades ago. Dal Po retorts that he has been running around in the cold to save this kind of guy, "I will give you my account number. Return me the money gift." Haha. 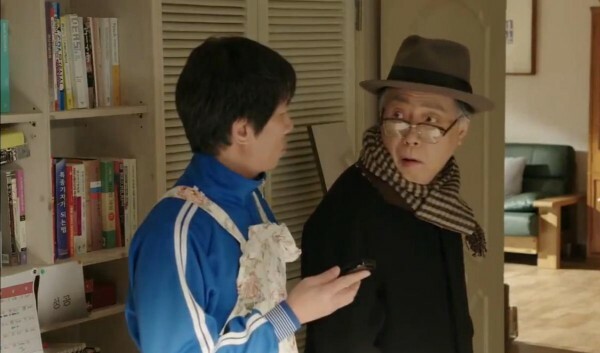 Dal Peng finds the mobile phone in In Ha's room and questions Grandfather why she's keeping it. He is like oh it must have some important thing inside it which is why Sung Cha Ok passes it to In Ha and Dal Peng questions again, "What important thing?" "How would I know??" Sung Cha Ok recalls Dal Po's words and worries but reassures herself that it's okay because she "has deleted them". I just realise...yeah! There might be incriminating messages inside the phone which show the relationship between her and the Chairman. Excitinggg. Dal Po rushes off to find Bum Joo and In Ha and Yu Rae tags along. 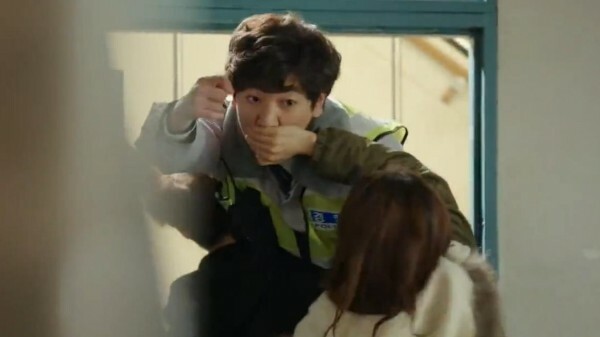 Bum Joo is angry that Dal Po is only thinking of In Ha now - she has been running around the whole day with bleeding ankles and nosebleeds and all he can think of is Manager Sung. those words only work if they come from you." Dal Po asks Bum Joo again where In Ha is and he runs off. Yu Rae comes up to Bum Joo and asks if it's the truth that Dal Po likes In Ha. Dal Po finally locates In Ha and watches as she runs from car to car with her sore ankles. She sees him and runs towards him, beaming with the news that they just need to locate the car with the black box and how smart she is. Dal Po quietly informs her that they have already found the black box and the missing footages, and asks her angrily why she didn't turn on her phone. She's so relieved that they can finally start the real investigation that she loses all feelings in her legs. Dal Po asks her if she has been eating food, and she sounds like she hasn't heard of the word 'food' in ages. Much to Dal Po's heartache, "YOU!" He offers to piggyback her but she insists that she's all right and totters off by herself. Dal Po reaches out for her but does not do anything else other than to follow behind her. Yu Rae gets drunk again and guess where she ends up....That's right, in the Capts' room again! HAHAH, it's a mystery how she gets in. Capt Hwang leaves her alone and even takes off his coat to put on her as a blanket. In Ha is relieved and says that she has felt bad towards Chan Soo. She apologies for not having thought of searching for the black box earlier, and Dal Po flares, "Stop saying you are sorry. What are you sorry for!" In Ha retorts that he's the one who said that she cannot comfort or console him. So the only thing she can do is to be sorry. Dal Po replies that even that bothers him. She replies angrily that she understands, "I won't worry or comfort...and won't even be sorry." She rushes out of the shop but stops upon realising that she hasn't paid for her meals. She turns around and sees Dal Po frustrated by the table. He picks up his bag and leaves the shop but stops when he sees In Ha outside. I like this scene! Much as it's obvious, the door's a nice metaphor for the barrier between them. From inside the shop, he notices that she's wearing his button as a necklace, and probably realises that the dream he thought he had...wasn't a dream. He pulls open the door and In Ha thrusts the money towards him. Unable to control himself any longer, he steps out and holds her face in his hands, before pulling her in for a kiss. He breaks off the kiss and tells her (with loving eyes) that for a long time, it's been the same no matter what he does. He knows that he shouldn't do this whenever he thinks of his father, his brother and her mother, "But I can't give you up. So let's..."
In Ha interrupts him by pulling him in for a kiss. And with a voiceover, she says, "I feel the same way too." Yay yay I love it that the couple has come together again! Even though it is at risk of making all the heartache for naught, but I think it has been put together really well and it doesn't make me feel like the past episodes of seeing the couple separated are a waste of time. We see them grow individually as people, and how Dal Po no longer holds back in front of In Ha, how In Ha is sincere in her support of Dal Po, how Dal Po and In Ha ultimately cannot survive without each other and that they need each other. I like that. I like it that it is always so peaceful whenever Dal Po visits Jae Myung, but I wish it could have been a more upbeat atmosphere. 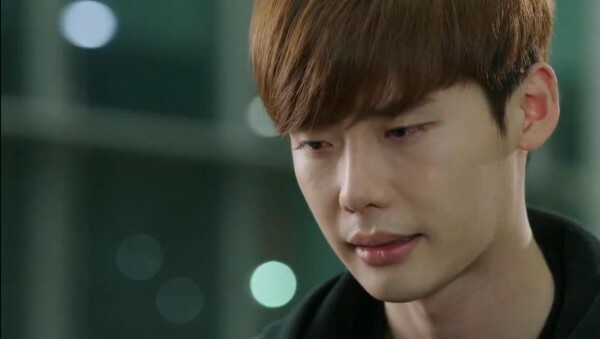 I know that Jae Myung is doomed, but at least make his last scenes happy:( I like him too much. I think it's still too early to celebrate and this worries me - what if the Chairman comes up with some devlish ideas that destroy Chan Soo further? 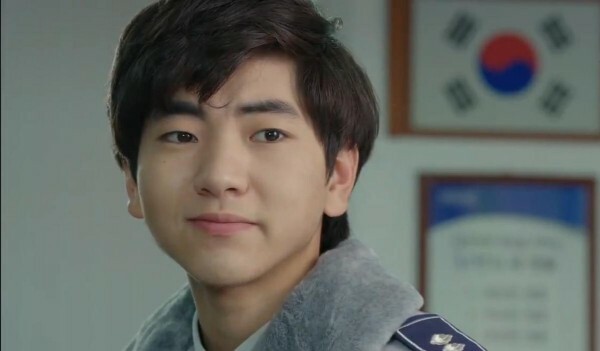 I love it though, that the scriptwriters have thought this out so meticulously, have allowed time for us to understand and bond with Chan Soo, before picking him out as the next target. History repeats itself and this drama shows us how horrible and eerie when that happens. Surprisingly, I don't feel any sense of hatred towards any characters, not even Sung Cha Ok or the Chairman. I think they are shown as very three-dimensional, and not just evil characters, and I only await eagerly for the retribution that they will get (hopefully the drama will not let us down).